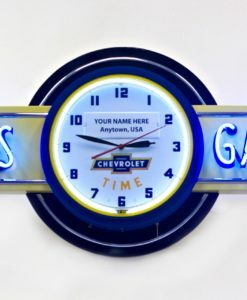 "Your Name GARAGE", “Your Name HANGAR” or “Your Name PUB” - in listed sign colors (additional for non standard colors) – 7 character maximum for custom name. 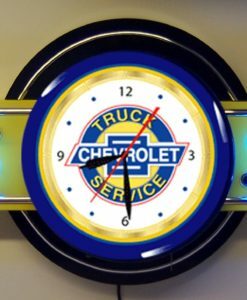 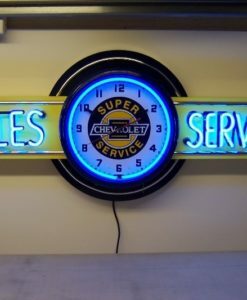 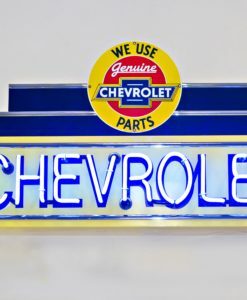 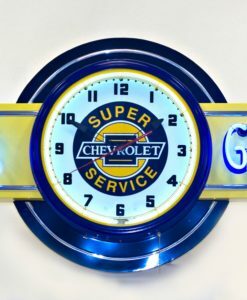 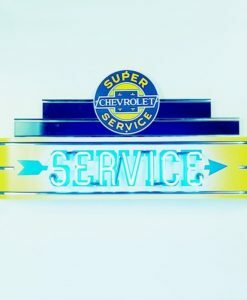 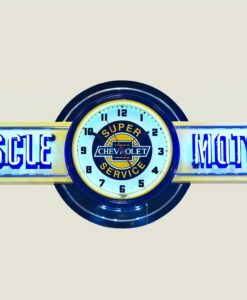 20″ Neon Chevy Time Clock WITH NAME PLAQUE – Black Wrinkle 20″ ROUND X 6″ DEEP Remake of the famous 1950’s Chevrolet Showroom dealership neon clock. 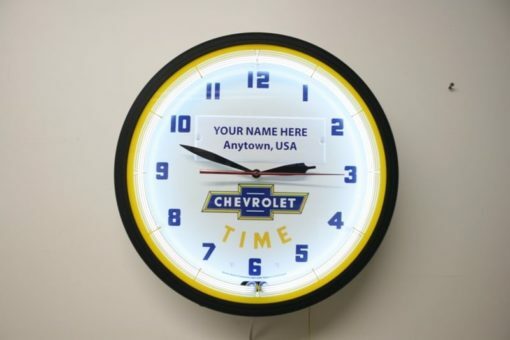 It comes complete with the stamped metal plaque customized with “Your Name” and “Your Town” – just like Chevrolet did in the day – or keep it simple with “MIKE’S GARAGE” and “Your Town”.All metal clock, electric motor, brass movement, glass face, 20″ diameter, 110 v plug with pull chain switch.Also available in blue wrinkle powdercoat finish (black wrinkle shown). 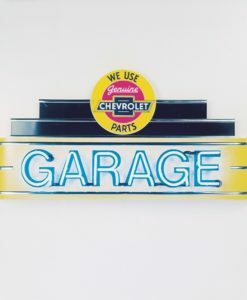 Can be ordered without plaque also – please inquire.